This is a private hard standing pitch with space for a car, picnic bench and water point. Our large grass campervan pitch in the wild meadow. Please note we not have any electrical hook ups. We allow a max of 6 people per pitch and offer free hot showers. We have spare wellies for all of our guests and have luxury composting toilets. Bert served the Paice family so well that when the time came to put him out to pasture, they couldn’t bear to stray too far from his side. So when they found an idyllic 13-acre farm on the Llyn Peninsula, they transformed one of those acres in to a kitchen garden that’ll feed him… in a way. Bert, you see, was the family campervan – home to the Paice family for a large part of four years but now he’s a café. And he’s destined to serve campers who are lucky enough to find their way to this sheltered haven between epic Welsh mountains and sea. The first campers to pitch up at this seaside campsite were the Paice family themselves. Their legacy of life on the road (with three young kids in tow no less) is apparent in lots of little touches. If you don’t fancy pitching a tent, they’ll put one up for you. If you arrive at tea-time, you can book in for the Friday night-supper. And if you need a high chair, travel cot or baby-carrier they’ll lend you one. There’s also a kids’ playground, yurt playroom that’s open if the weather is bad and, of course, there’s Bert the café campervan. Not only can you buy home-baked croissants and cakes from his little kitchen, but there’s free-of-charge tea at all times too. Around the characterful campervan, the campsite has just 15 pitches and a sociable atmosphere with communal campfires and shared-use barbecues in a designated area. There are monthly 'Feast Nights' too, designed for sharing stories over a sit-down supper. Pitches are reserved for tents and small caravans or campervans (we wouldn’t want Bert getting lonely after all) but there’s no electric hook-up and the loos are eco-friendly composting ones. It’s as green as the trees of the site’s little woodland, which are all that separate you from the sea. A track through the woods leads to the campsite’s own private shingle beach where you can spend days kayaking, paddleboarding and combing the shores. 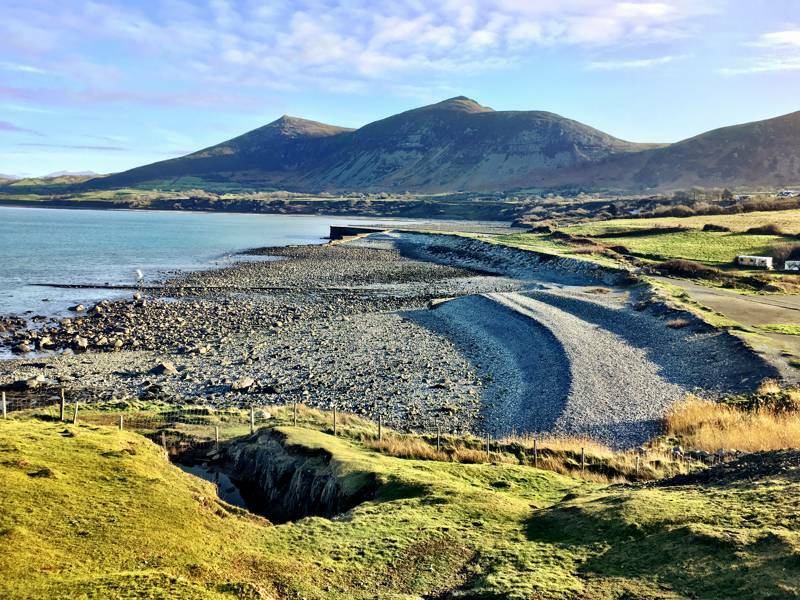 And there’s a sandy beach just a five-minute walk away along the Llyn Peninsula Coastal Path at Trefor too. But the coast is only half the story with the Welsh mountains proving just as enticing. 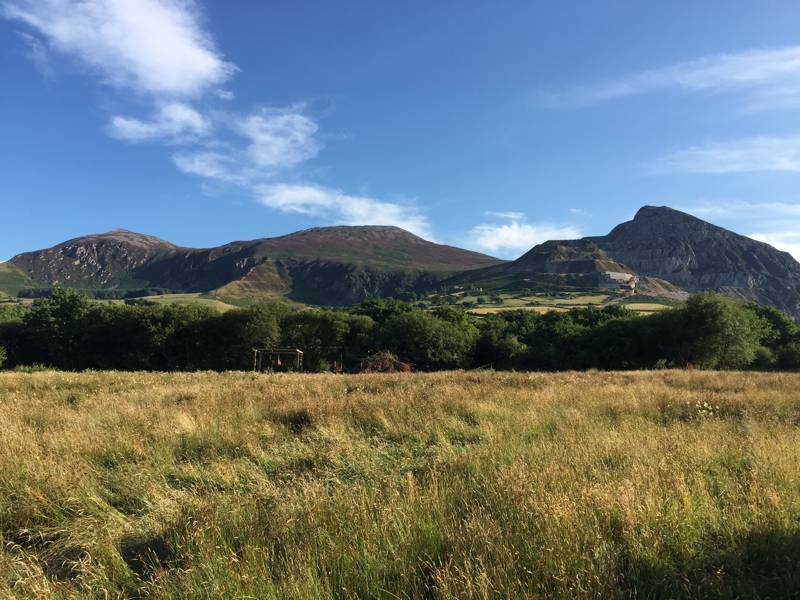 Hiking, bouldering and climbing opportunities are within easy reach among the Yr Eifl peaks which surround the site – and Snowdonia National Park is just 20 miles away. The granite-mining history of the area is laid bare at the Welsh Language Centre, a few miles away, and it’s just a little further to The Tŷ Coch Inn in Porthdinllaen. It’s been voted one of the best beach pubs in the world, with views of a sheltered bay and great walks nearby. But, if you don’t fancy the drive, there’s another place with similar credentials and less of the hype; the mighty hills above Bert’s Kitchen Garden. You’ll have to take your own drinks but as the sun sinks in to the sea, you’ll discover what the Paice family are happy to share; the perfect place for a sundowner. Bert's offers low key family camping with direct beach access on the Llyn Peninsula. With communal campfires, kids playground, yummy veg from their own kitchen garden and gorgeous coastal walks on your doorstep it's the perfect place to set up camp for your summer holidays. Here at the farm we have 15 large tent pitches in our wild meadow field with gorgeous views of the surrounding mountains. There is plenty of parking but the camping field is car free. You can transfer your camping gear by wheelbarrow to your pitch. Enjoy back to nature camping with communal campfires, woodland walks, friendly chickens, kids playground, a kitchen garden, feast nights, yoga in the barn and many other activities throughout the year. With coastal walks on your doorstop, nearby romantic castles, Snowdonia National Park, and pristine sandy beaches the possibilities for outdoor adventures are endless. For latest availability and best prices for Bert's Kitchen Garden, please use the Date Search above. 13 grass tent pitches, 1 grass campervan pitch, 1 hard-standing campervan pitch with 4 unfurnished, pre-erected tents (8-man) available to hire. 2 showers and 5 composting toilets. 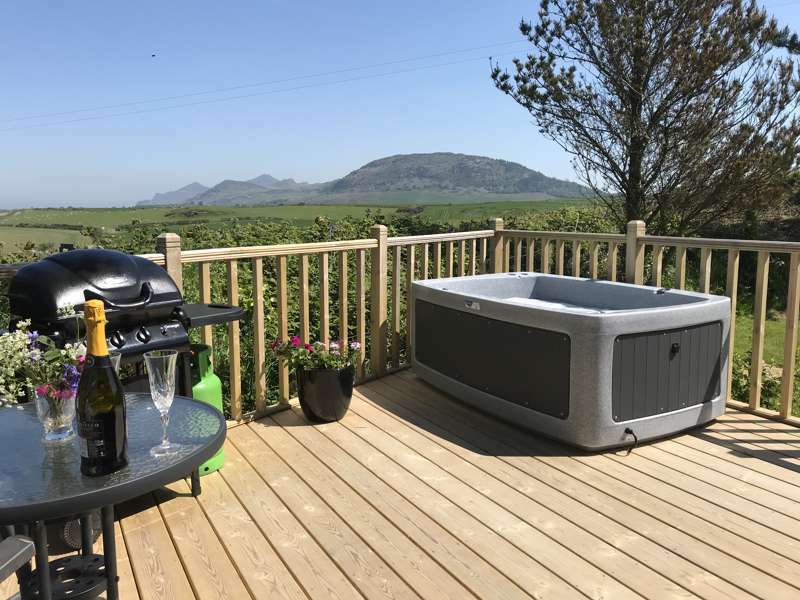 A covered washing-up area, guest freezer for ice blocks, charging point for mobile phones, drying area, kids’ playground and baby equipment to hire, including high chairs, a cot, baby monitors, backpacks and bikes for younger children. Kayaks, body boards and paddleboards are available to hire and a local bike rental company can deliver bikes to the site. Pre-erected 8-man tents can be hired unfurnished (£15) but camp beds can be added (additional £6). BBQs and communal campfires are allowed in designated areas only – not in the camping meadow. Logs are provided. Rubbish and recycling bins are provided on site. 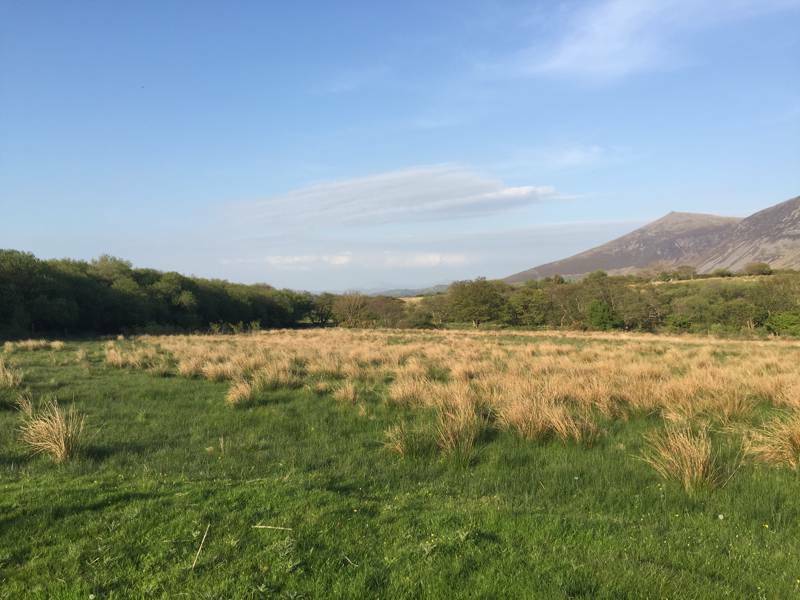 A few minutes’ stroll through woodland takes you to the campsite’s own small rocky beach where you can take to the water or join the Llyn Peninsula’s coastal path for a hike. 5 minutes more gets you to the small sandy beach at Trefor Harbour. The surrounding Yr Eifl mountains provide plenty of walking, bouldering and climbing opportunities (if you’ve got your own gear). There’s a little museum and café at the Welsh Language Centre at Nant Gwytheyrn (01758 750334), just the other side of the mountain – 10–15 minute's drive away. It’s 8 miles to Parc Glynllifon, a country park with a café and children's playground and it’s 10 miles to Porthdinllaen. This coastal village has a great walk described by the National Trust, a sheltered beach with rockpooling and a pub pretty much on the shore that’s said to be worth a visit (see Food & Drink). Snowdonia National Park and the peak of Snowdon itself are about 20 miles away with the Snowdon Mountain Railway providing the quick route up if you don’t fancy the hike. Castle Caernarfon is 14 miles away and the historic town of Beaumaris on Anglesey is under an hour away. Campers can help themselves to freshly-laid eggs and free tea, coffee and hot chocolate are available from Bert, the on-site, converted-bus café. Fresh croissants are for sale here in the morning with homemade cakes available in the afternoons on weekends and summer holidays. There are also simple Friday-night suppers and communal, sit-down Feast Nights once a month – both must be booked in advance. For coffee, cake and lunches off-site try The Black Cat at Parc Glynllifon (01286 832691) or Caffi Meinir (01758 750 442) at the Welsh Language Centre. A five-minute walk from the campsite, in Trefor, there’s a little shop and the Clwb-y-Tur, former quarryman’s social club where you can get a pint and a packet of crisps. But for something more substantial, try The Tŷ Coch Inn (01758 720498) in Porthdinllaen (regarded as one of the best beach pubs in the world), 10 miles away. The restaurant-quality food at The Goat Inn, 15 miles inland at Porthmadog, (01766 530237) and the Mexican-fare at Pontoon (01758 228346) on the south side of the peninsula are also recommended – booking is essential. A pitch and 2 people from £26 per night. Pre-erected tents are an additional £15 per night. From Caernarfon take the A499 towards Pwllheli and take the first right, signposted Trefor. As you pass the bus garage in the village, take a right and follow signs for Morfa Farm. Go through the metal field gate. Take the road all the way to the bottom and you will find Bert’s Kitchen Garden over the little bridge. If you’re coming from Pwllheli, head north on the A499 and take the second exit signposted for Trefor, then follow the instructions above from the bus garage. There a railway station at Pwllheli, 10 miles away. The number 12 bus runs from Pwllheli (and in the other direction from Caernarfon) to Trefor with a stop just up the lane from Morfa Farm and Bert’s Kitchen Garden Campsite. The nearest large railway station is Bangor – a 45-minute drive away. There is a taxi rank at the station.